When I was in school — be it grade school, high school or college — the library was a reliable source for information, but it was admittedly static. Sure, there were lots of books and opportunities for individual exploration, which I loved, but today, both adults and students need more from libraries. So I give school and university library staff immense credit for anticipating and understanding what students need to develop 21st century skills and then making it all happen. These inspiring educators are reimagining the library as a learning commons and are proving how this environment spurs learning. What’s a Learning Commons Today? 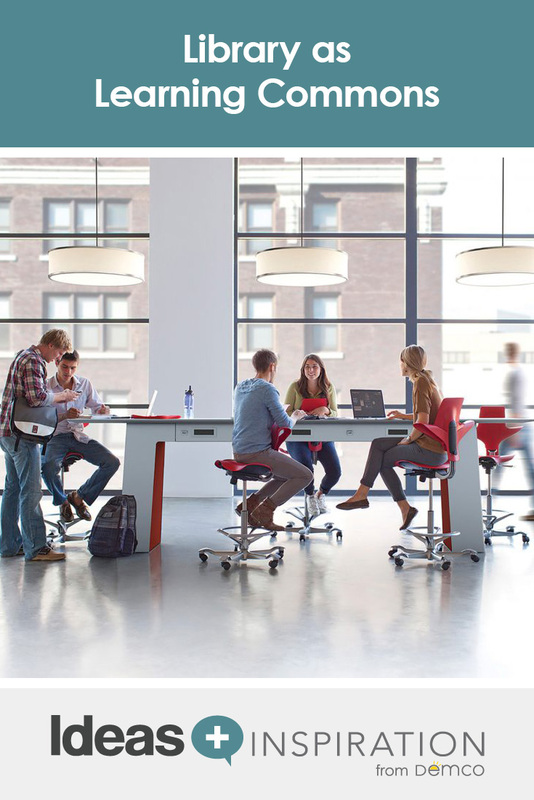 In 2008, David Loertscher, Carol Koechlin and Sandi Zwaan wrote “The New School Learning Commons Where Learners Win.” They defined a learning commons as a shared space that can be both physical and virtual. In addition, they elevated the school library as an essential teaching and learning tool for the entire school. What has changed you ask? Excellent question. The K-12 learning commons are still about adaptability, flexibility and variety. They’re also about expression and creation (hello, makerspaces!). Plus, they’re continually evolving to keep up with instruction, academic performance expectations and student needs. No two learning commons are exactly alike, and no single learning commons is the same from year to year. At universities and colleges, learning commons are “full-service learning, research and project spaces.” The campus library is simultaneously a meeting place, impromptu socialization spot and a place for quiet study, making zone creation an important part of space planning. The library also offers tools, media and on-staff specialists to carry out projects and assignments. Does it seem like a learning commons is a moving target? Have no fear. Polling your students, assessing their needs and understanding your community will help you shape your learning commons both in the short term and in the long term. You can also collaborate with teachers and instructors to understand their expectations for student learning outcomes and offer the library as a space for multimedia instruction to take place. Other aspects of learning commons include having multiple points of contact instead of one main circulation desk. Also consider café tables and chairs to create natural hangouts, and, if possible, design an environment in which you can offer food and drinks to help students see the library as a place to socialize and collaborate. As guest blogger and librarian Carrie Kruse mentioned in Creating Collaborative Learning Spaces in the College Library, students have different needs, yet one space can be designed to meet all of those needs at the same time. At all levels of instruction, three distinct zones define the learning commons. Each zone has specific furnishing needs to best support the various learning styles. Take note and see where your library can gain more functionality. The Collaborative Zone is focused on project-based learning and group work. Teamwork, multimedia collaboration and displaying student work are encouraged. 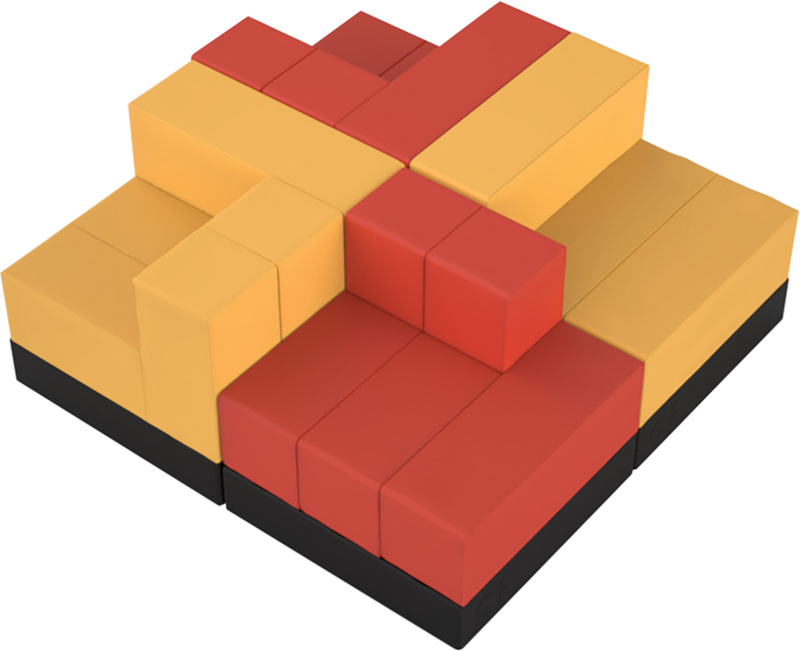 Tables can easily be moved and reconfigured. 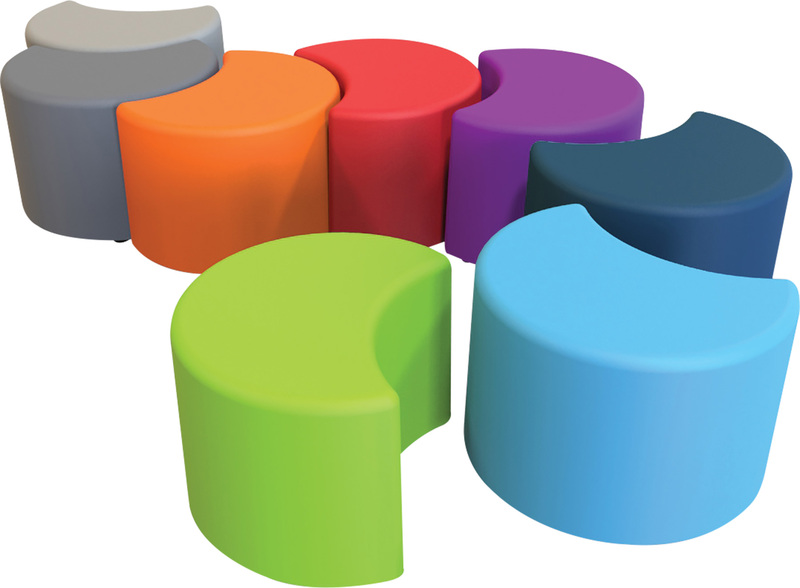 Seating options should be lightweight so that they can be easily picked up and rearranged to encourage spontaneous collaboration. Power access and connectivity are important considerations. 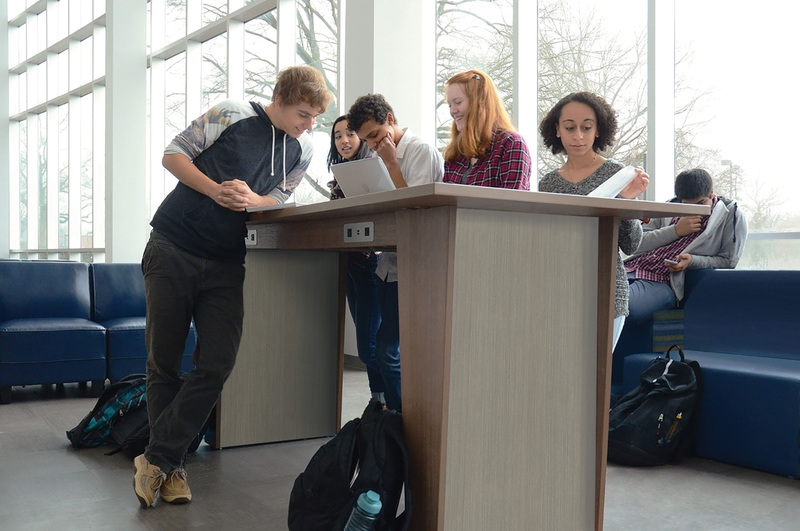 Charging stations and in-table outlets are handy for students who want to charge their devices, and media tables allow students and instructors to plug in and share their screens. 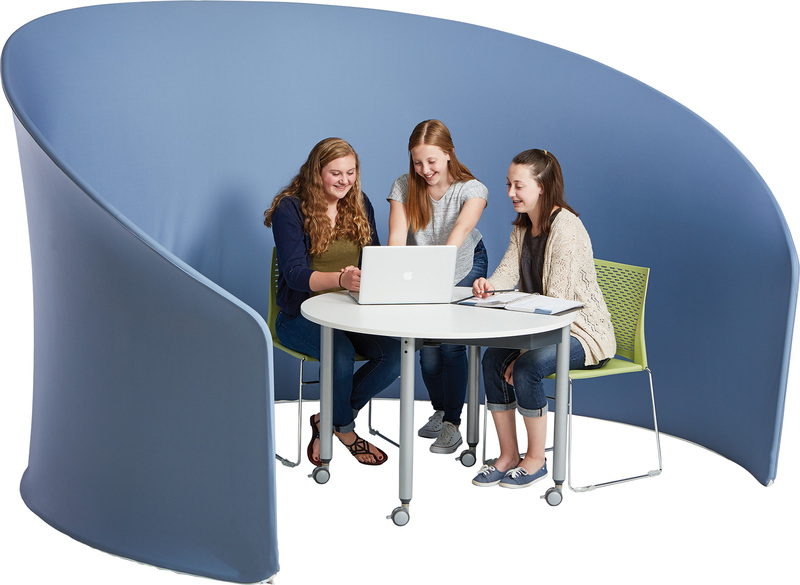 In addition to the Learning Commons idea gallery, you may also be interested in the Collaboration Solutions Idea Gallery to help you gain ideas for creating collaborative spaces. What distinguishes this zone from collaboration is that it is meant to be more playful, casual and comfortable. It may take on a living room feel with ample soft seating and a variety of work surfaces. For example, café tables and stools contribute to a relaxed coffee shop appeal. Students are encouraged to interact with each other here. Embrace noise and conversation in this area. This zone is for students who want to study or work on their own. Often students don’t mind doing their own thing in the presence of others who may be talking or working together. In this regard, there doesn’t have to be wide margins of separation between this zone and the other ones. However, there should still be some privacy elements. Hallmarks of this zone include individual seating, privacy screens, carrels or smaller tables with one or two chairs. While I’ve always been a library lover, I’m glad that the learning commons of today are constantly changing and evolving to fit the needs of 21st-century students! The potential is limitless, and I love that we’re preparing young people in new ways to make their mark on the world. 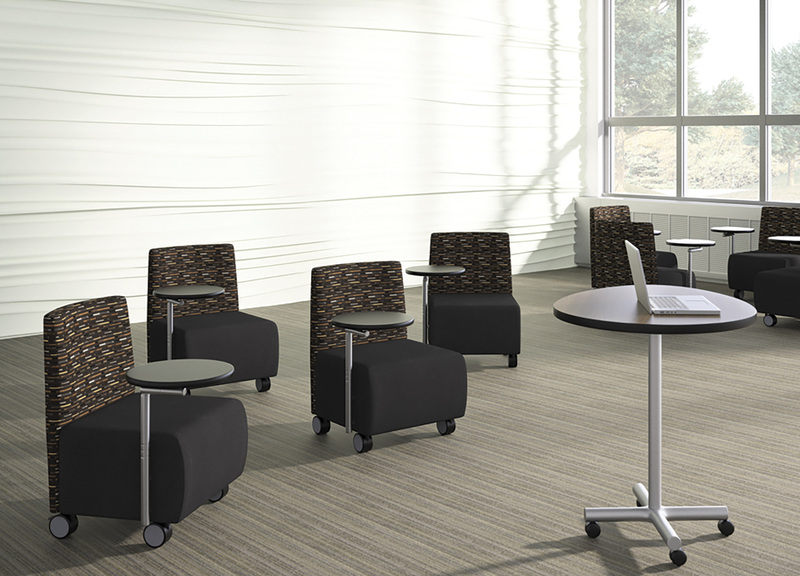 View the learning commons idea gallery to see the latest products and furniture available.